Adult Leaders are invited to this year’s “Wood Badge” Course, hosted by the Cape Cod & Islands Council. The course incorporates the traditions of over 80 years of Wood Badge, while adding the management and leadership training necessary to be successful as a leader in the 21st century. Scouters will meet and build lasting friendships with others from three different councils! Back in the old days, only a select few were invited to get advanced training and earn their Wood Badge beads. Nowadays, this special opportunity is open to any registered adult leader with a position in Scouting. Don’t miss it! 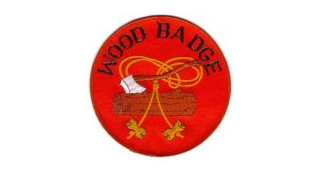 If you haven’t taken Wood Badge yet, consider yourself invited. This year’s course is April 28-30 and June 9-11. Q: Who should take Wood Badge? A: Every adult leader no matter which program you are in Cub Scouts, Boy Scouts and/or Venturing should consider taking Wood Badge. It’s ideal for anyone ready to build on their basic training, learn more advanced leadership skills and strengthen their commitment to Scouting. Wood Badge goes beyond traditional outdoor skills to focus on leading people: how to communicate, teach, plan, inspire, manage conflict, drive change and serve others. Q: What Commitment does it require? A: Wood Badge requires two three-day weekends (Fri-Sat-Sun), a fee of $275, and a commitment to apply your skills and “work your ticket” after the course. Yes, it is a big commitment, but you are getting a lot of training packed into six days! The fee covers six days of food and accommodations, t-shirt, plus a lot of training materials. You’ll get many of the same skills that people get in corporate leadership training, for just a fraction of the cost. Some units choose to help pay the fee for their leaders. A $50 deposit will hold your place. Q: Why do we need to sign up now? Can I wait? A: Wood Badge requires a lot of planning and volunteer time to run. The BSA only allows us to run a course if we have at least 30 fully committed participants a month in advance.